Whether exploring the dizzying heights of the Windy City, taking a trip around Elvis's Graceland or strolling along historic Bourbon Street in the French Quarter of New Orleans, this adventure has something for everyone. Music and food lovers will love this triple city train journey. Starting in the Windy City, there are simply no blues, like Chicago blues. Based on the electric guitar and harmonica, this unique sound will only be heard authentically in the city of it's origin. 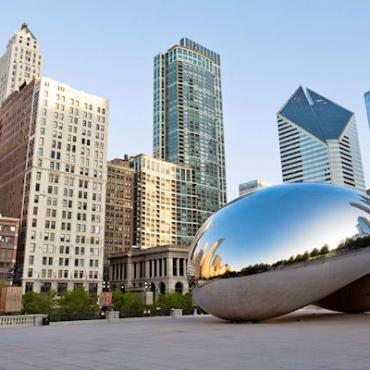 Top that off with a Chicago deep dish pizza and you'll be living like a local. Then it's on to Memphis. Elvis may have left the building, but his soul is still in Memphis and there's no place quite like Beale Street for Blues and BBQ. 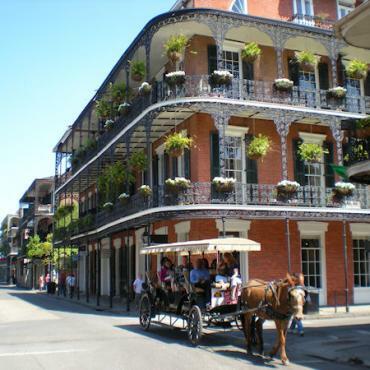 Your journey ends in New Orleans which is pure pleasure for the senses. The live music, Cajun and Creole cuisine mixed with some of the most genuine people you'll ever meet - it's the perfect end to a perfect holiday. VIP Tour of Graceland to include the new the new entertainment complex at Graceland, Elvis Presley's Memphis. This $45 million state-of-the-art complex is home to the world's largest Elvis museum, featuring the Elvis Presley Career and Automobile Museum and Pop Culture exhibits. 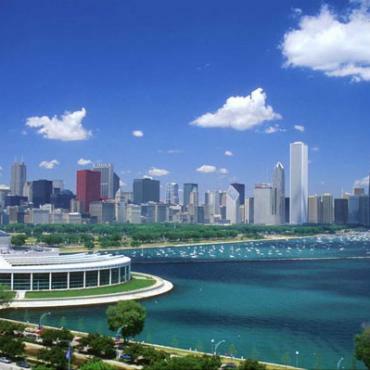 Known fondly as everyone's kinda town because Chicago is a city for all tastes. As lovely as Paris with its striking architecture and leafy parks, as entertaining as London and as bustling as New York. 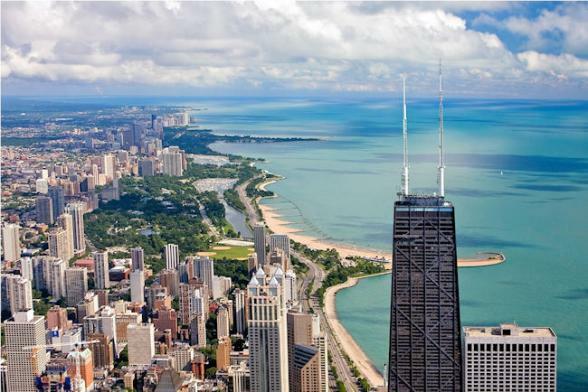 There are world class art galleries and museums, vibrant theatres, intimate blues and jazz clubs, comedy bars, acres of green and the city even has a beach along the shores of Lake Michigan. 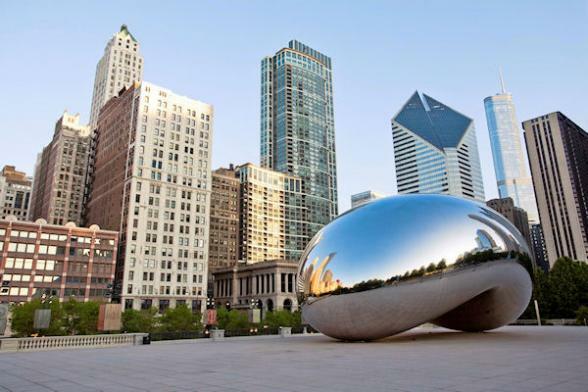 Getting around Chicago is easy with the Loop Skytrain in the central area, buses or the subway. 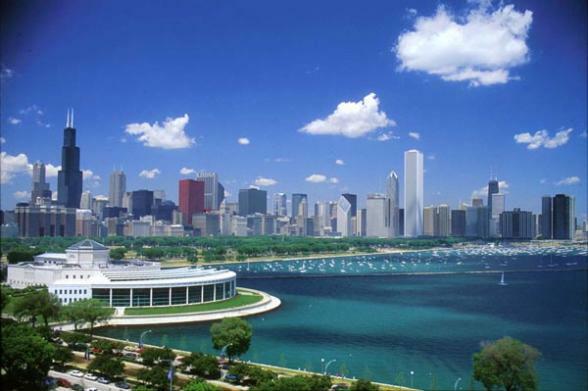 The best introduction to the city is the Inside Chicago tour which we've included in this holiday. 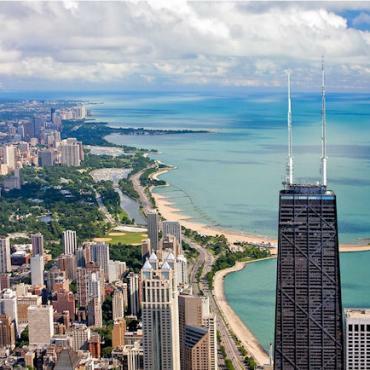 On this six-hour tour you'll visit the 94th floor of the John Hancock Tower and enjoy incredible views over the city and Lake Michigan, Soldier Field, Adler Planetarium, Wrigley Field and pass through Obama's old residential neighbourhood amongst other Windy City attractions. In the 1920s Chicago The Mob ruled the city. Learn about the likes of John Dillinger, Jack 'Machine Gun' McGurn, Baby Face Nelson and Al Capone on the fascinating 'Untouchables' Mob history tour of the city. In the evening, be sure to visit some of our favourite Blues venues - Buddy Guy's Legends, Green Mill, House of Blues and Kingston Mines. Or jump on a luxury yacht for a dinner cruise along Lake Michigan, with the city's famous skyscrapers as your backdrop. 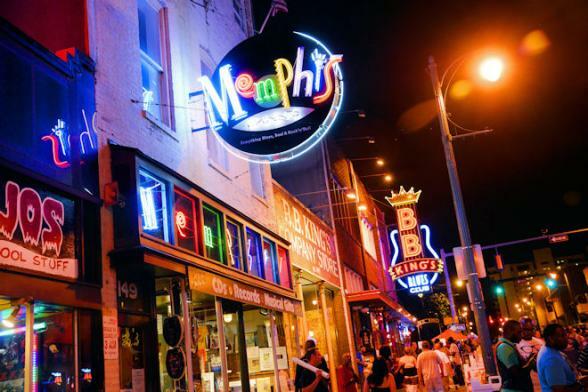 You'll have plenty of time to browse the shops along the famous Magnificent Mile, or hop on a river cruise and enjoy the city's impressive architecture before you board The City of New Orleans evening train for your overnight trip to Memphis, the birthplace of Rock 'n' Roll. 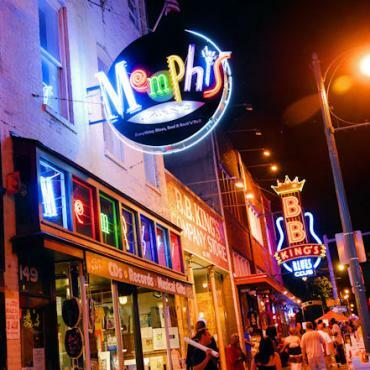 Memphis is a sound, a groove and a rhythm that races through your soul. Stroll along Beale Street listen to the blues bands in many of the local bars. 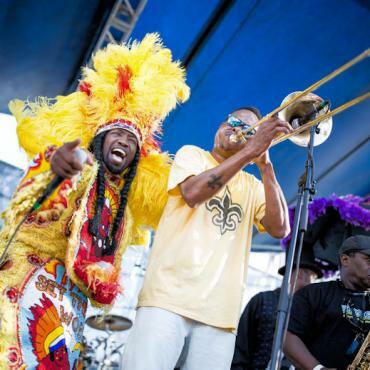 We recommend BB Kings, Rum Boogie Cafe or take a walk on the wild side at Wild Bill's. Visit Graceland, a shrine to The King and re-live the history of the era as you tour this elegant mansion. Pop into Sun Studio's and hear about all the great recording artist's that frequented this surprisingly small studio. Stroll through the National Civil Rights Museum at the infamous Lorraine Motel, or visit Slave Haven at The Burkle Estate and learn about the secret Underground Railroad network that the slaves used to escape their cruel masters. VIP tour of Graceland and entrance to the new Elvis Presley's Memphis exhibition is included. This state-of-the-art exhibition houses the world's largest collection of Elvis memorabilia. Entrance and tour of legendary Sun Studios is also included in your time in Memphis as well as admission to the excellent, Stax and Rock 'n' Soul Museum. 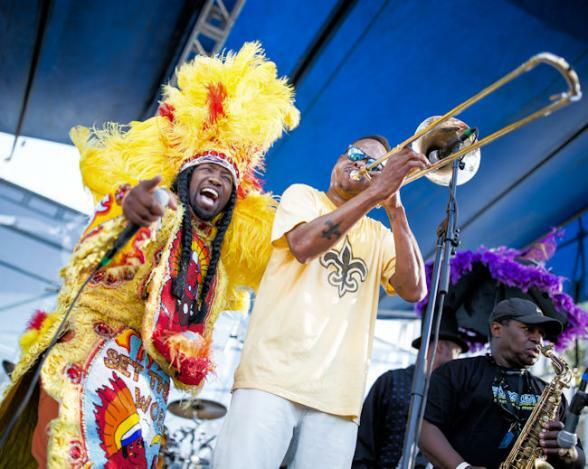 Depart Memphis early morning for the 9 hour journey aboard the City of New Orleans train. New Orleans is truly like no other city in America. 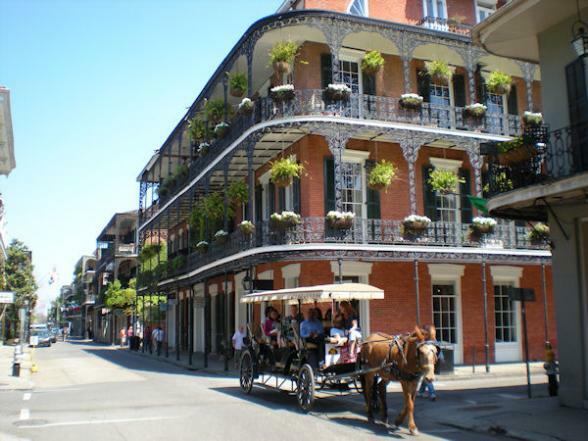 To enjoy this destination you're put you in the very heart and soul of the city, the French Quarter, famous for its ornate balconies, French architecture and joie de vivre. Jackson square is the place to sit, sip a cafe au lait and devour a beignet. Jump on the St Charles Streetcar for a true overall feel for the city and its beautiful neighbourhoods. The Garden District with it's antebellum mansions is a must. No visit is complete without a cruise on an authentic Mississippi Paddle streamer, a visit to the Mardi Gras Museum, a cookery lesson in the Cajun School of Cookery or a peak into one of New Orleans many mysterious Voodoo shops. Pace yourself though, at night the French Quarter pulsates with live music, dancing and some of the best restaurants in the USA. The venues we recommend are Irvin Mayfield’s Jazz Playhouse, Preservation Hall, The Spotted Cat, the Palm Court Cafe and Napoleon House. 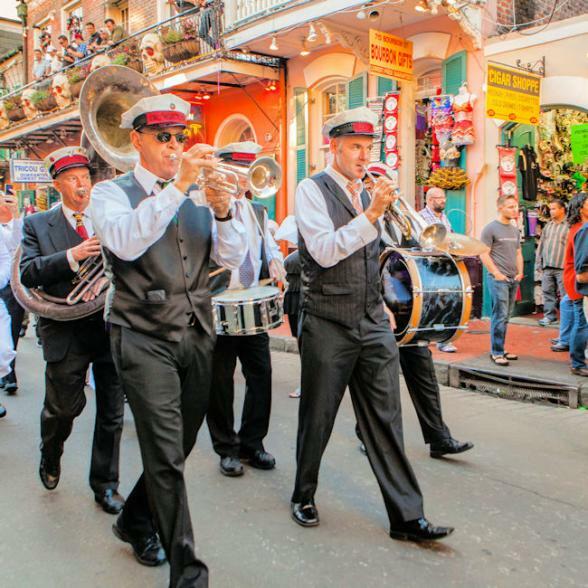 To make the most our of your stay in this fascinating city we've included a walking tour through the nooks and crannies of the French Quarter and a Jazz cruise on the mighty Mississippi. Also, just a short drive from New Orleans is the famous Great River Road, home to Louisiana's plantation homes. We've included a morning visit to one of these mansions, Oak Alley. A southern belle will guide you around this home, built in 1827 and tell you tales of plantation life in the 18th century. Today is your last day in New Orleans before heading back home. Your journey doesn't have to end here, why not extend your trip and visit Nashville for a few days or perhaps time on the beach in Florida? Maybe, an East Coast city stopover, or a few days in San Francisco? All Bon Voyage holidays are tailor made - call the team of experts today to discuss your ideal trip.